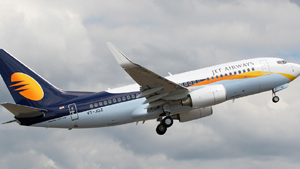 Mangaluru, June 15, 2016: Jet Airways is all set to enhance the connectivity to the UAE and beyond from Mangaluru city. Jet Airways is all set to introduce a daily flight to Sharjah from August 7. Passergers to Sharjah from Mangaluru can fly direct now, Dubai and Sharjah is 37.9-kms apart on the Sheikh Mohammed Bin Zayed Road. It is stated that Flight 9W503 will take off from MIA Mangaluru International Airport, at Kenjar here for Sharjah at 9.30am and flight 9W504 will arrive from Sharjah to MIA at 5.55pm. The approximate flight duration between MIA (IXE) and Sharjah (SJH) at a distance of 2449.81-kms is 3 hours 33 minutes. This will mark the third international flight of Jet Airways and the eighth daily flight in the international sector from MIA, J T Radhakrishna, airport director, said. Jet Airways has already opened bookings for the Sharjah flight, Radhakrishna said adding the airline also has plans to start daily/weekly flights to other Middle East destinations, details of which are either in the planning stage or under wraps. The introduction of the Sharjah flight will increase daily movements from MIA - domestic and international included to a maximum of 50 depending on the flight schedules of the various airlines that operate to and from MIA, he said.